Late Summer is a special and brief season between Summer and the Fall equinox, and is the approximate middle of the lunar year. It is the season of the Earth element. This is a time of fullness, of enjoying the bounty of the farm and garden. In acupuncture theory, there are additional associations with Late Summer/Earth: the color yellow, the sound of laughing, the sweet taste, a fragrant odor (see also https://portwellnessacupuncture.com/the-pivotal-season-of-late-summer/). The pathological emotion is obsession or compulsion. The healthy aspect is sympathy, contemplation, the ability to concentrate and meditation. We’ve become used to seeing meditation and mindfulness in the news because there is so much good science coming out about it. Meditation significantly improves mood and resilience, lowers stress, and can even lengthen telomeres (structures which protect the end of our chromosomes from deterioration or from fusion with neighboring chromosomes; they are long when we’re young but shorten as we age and reflect the effects of aging). Meditation and mindfulness are even being taught now in some elementary schools with positive outcomes in mood, problem-solving, improved test scores and better social coherence. So why don’t we all meditate??!? The Goldilocks among us need the surroundings to be just right. We need a comfy chair (https://www.thegrommet.com/alexia-ergonomic-meditation-seat-fabric) or zafu (the special, round, firm pillow you see in meditation rooms https://www.dharmacrafts.com/zzseteco/zafu-zabuton-set-eco), a quiet or private space, maybe some ambient background music, maybe even an easy-to-use meditation app (such as Insight Timer https://itunes.apple.com/us/app/insight-timer-meditation-app/id337472899?mt=8or HeadSpace https://www.headspace.com) and incense or essential oils. Essential oils travel directly to the brain through the cribriform plate in your nose. That’s one reason why they have a powerful impact on mood, meditation and concentration. Here are three essential oils that particularly resonate with the Earth/Late Summer season to set the stage for a positive meditation experience, or for when concentration is called for. If you enjoy these oils, feel free to use them throughout the year! 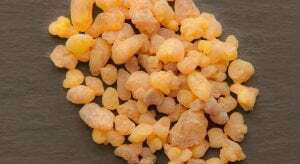 Frankincense, an Earth element oil, has profound psychological and spiritual benefits, recognized the world over by religious and spiritual traditions. It can calm and center the mind, which makes its effect gently tranquilizing, yet deeply clarifying. It helps to still the mind, and cease mental chatter. It promotes single-pointed concentration, that state that allows the cares of the day to fall away so that we may experience peace. It may be used when we are distracted by a multitude of thoughts, worries or the mental agitation caused by too much news, social media, and the never-ending list of things to do. 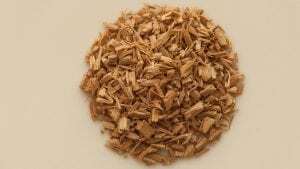 Sandalwood is associated with Earth, as well as the Water element (Winter). The additional influence of the Water element may explain its ability to cool, calm and support an over-heated nervous system. It can be used for hot, agitated emotional states that lead to headache, insomnia and nervous exhaustion. It is considered “divinely sweet” by author Gabriel Mojay. This is the essential oil to reach for when we want to reconnect to our primordial sense of being, our essential self, an experience of palpable life. It is indicated for obsessive worry, over-attachment and neurotic needs for security. It helps integrate the Spirit with the Senses. “Kitchen herbs” are sometimes under-appreciated for their gifts beyond the table. But here is Lemon:clarifying, light and refreshing. It is for the heavy-headed and congested person whose concentration is fuzzy and dull. It helps to maximize learning and memory. It helps disperse confusion and eases worry; it rescues a mind bogged down with excess mental baggage. Lemon oil is released when you cut through the rind, or zest it for cooking. 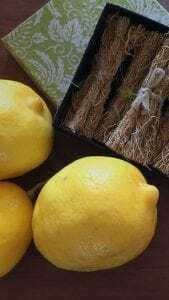 The next time you need a squeeze of fresh lemon, leave the used piece on your kitchen counter for a few hours and enjoy the fresh scent before it dissipates. So enjoy the Late Summer groove and empower your meditation with these seasonal essential oils. Here is a trusted resource for ordering essential oils (as well as other trusted professional brands), with a 15% discount offered to my friends: http://wellevate.me/PortWellnessAcupuncture. You’ll want to set up your own account, and then you can order any time. When you come for your seasonal acupuncture tune-up (you’re doing that, right? ), you’ll benefit from having Earth points needled during the Late Summer/Earth season. And for extra emphasis, arrange your appointment between 9-11 a.m. to take advantage of the time of day associated with Earth. So glad you enjoyed it; I’ll write about essential oils again. They are one of my favorite tools to cycle in as the seasons change.